Southern Loggin’ Times July issue discusses the principles Scott Batson uses to give his business an edge in tighter markets. John Bradley is also mentioned for his activism in regards to the future in managing land from planting through final harvest. The McMillion brothers are featured for keeping their business simple, and Chad Chadwick is presented for moving from equipment operator to full-time manager. John Bradley, Past Chairman of the Texas Logging Council, tells folks he’s not a logger. To be sure, he owns all of the requisite stuff to log—cutters, skidders, loaders, a stroke delimber, trucks, saws and plenty of supplies. He uses it to harvest trees, too. The difference is Bradley operates a service company. 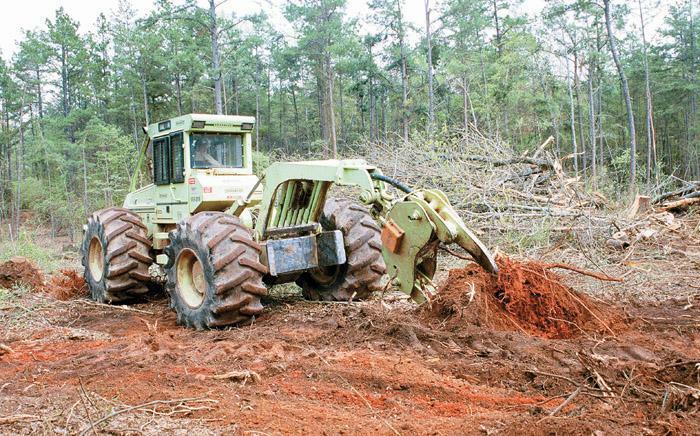 In an industry dominated by larger crews and aging loggers, the two brothers who comprise McMillion Logging Partnership are the exception to such stereotypes. Gary and Kevin McMillion, 31 and 23, respectively, operate as a two-man crew. Since breaking into the business in 1995, they have built a solid reputation by selectively harvesting quality hardwoods from West Virginia’s hill country. One look at Chad Chadwick, owner of C&L Pulpwood, and you can see the pine resin pulsing through his veins: At age 35, he’s already been a logger for more than half his life, beginning back when he’d work the landing running a chain saw during spring break at the age of 12 on a small shortwood crew. Like many, he went into the business full-time straight out of high school. When the Forest Products Expo last unfolded in Atlanta in mid-’99, the industry—with the exception of pulp—was doing quite well. Loggers were buying equipment, sawmills were pumping out lumber in record amounts, Champion International was still intact and Georgia-Pacific owned timberland. 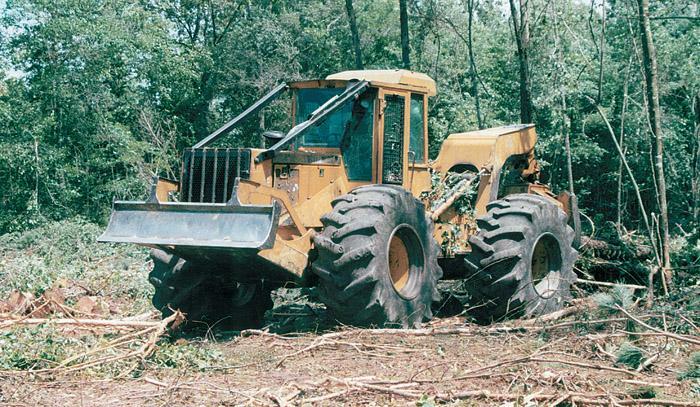 In the logging equipment community, Timberjack and John Deere were rivals, Pioneer Machinery was selling Timberjacks, Caterpillar dealers in the Southeast were selling skidders and Deere & Co. owned no John Deere dealerships. Surviving 55 years as a wood dealer is an achievement few companies can claim. Just weathering cyclical markets is accomplishment enough. You can then factor in the changes that have occurred in technology, forest practices, distribution and delivery systems and market consolidation. And that doesn’t even touch on the impact of changing public expectations. Charles Donald Pulpwood, based in Port Gibson, Miss., is one of those few. North Carolina Forestry Assn. (NCFA) and North Carolina Dept. 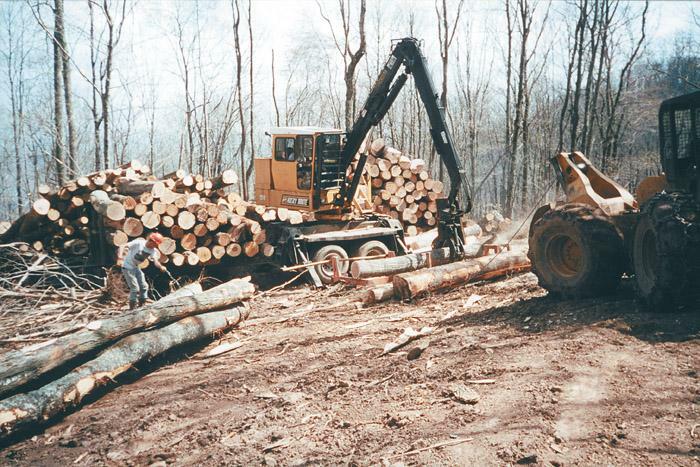 of Labor - OSHA have created a partnership to improve logging safety. 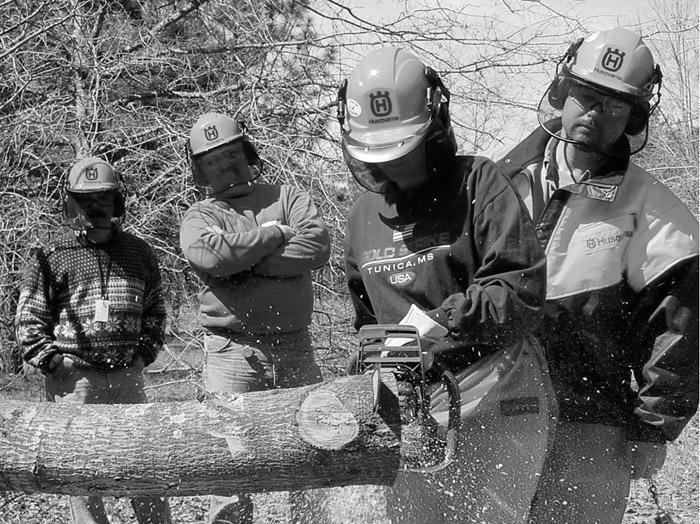 OSHA has committed itself to train new compliance officers prior to having them visit loggers for site inspections. Two days of basic and two days of advanced logging safety training are provided by NCFA in cooperation with Forestry Mutual and the Johnston Community College Howell Woods Resource Center. 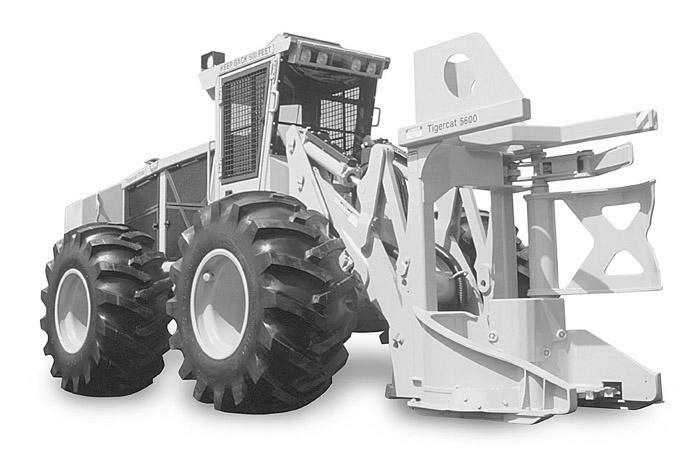 Tigercat’s 724D feller-buncher is a redesigned version of the 724 with increased power and cross-flow cooling system. New model features angled roof, Cummins 6CT8.3 engine with 215 HP, heavy-duty front chassis and boom system and 1400 series John Deere axle. Hydrostatic powered variable speed reversible fan allows operator to purge coolers without exiting cab.